FiftyFive.One and Byline Press is happy to announce the fourth edition of The Complete Darkness. 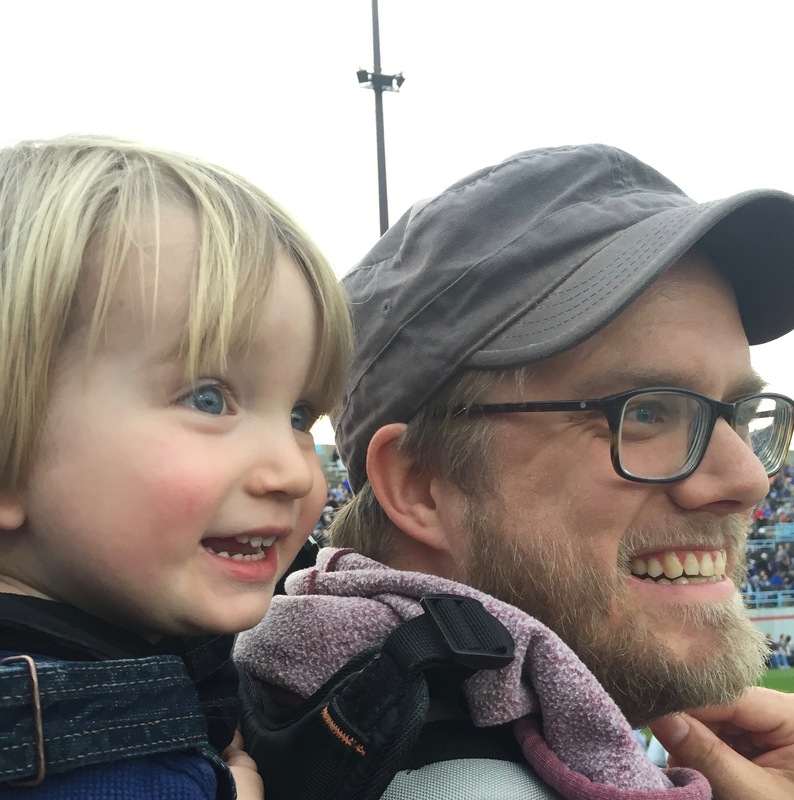 Filled with every detail we could cram in from the Minnesota United FC 2018 MLS season, it’s a must for any fan of Minnesota United. 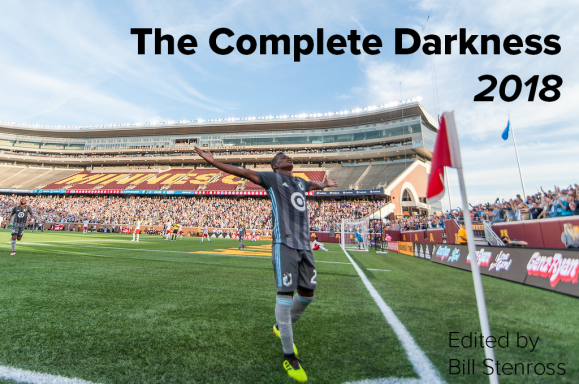 When we created the first Complete Darkness book about the 2014 season, in our headiest moments we imagined a shelf filled with our books detailing seasons far into the future. Now, with our fourth installment, that dream is becoming a reality. This physical book still has what you would expect from a Complete Darkness. It has write-ups of each match and each player from Bill Stenross and Kaleb Olson. Expect to read about important story lines from the season including an extended look at Darwin Quintero’s impact by Louis Livingston-Garcia, a look at the players we said goodbye to from Kayla Roste, and a deep look at Colin Martin coming out on Pride Night by Bill Stenross. 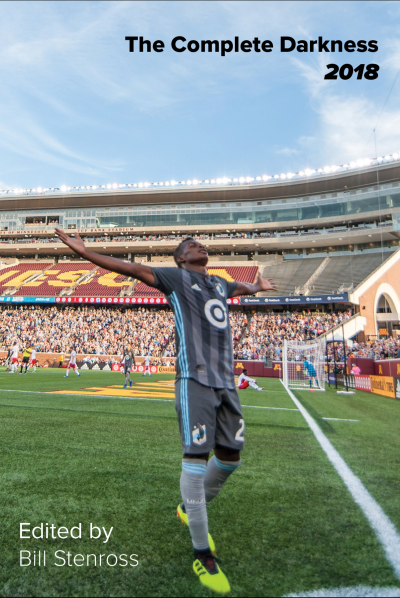 We have the requisite deep dive into the stats explaining why Minnesota didn’t improve this season by David Laidig. This is the book that you’ll take down off your shelf in 5 years when you want to know who was that player who kept getting red cards for Minnesota United or which Minnesota United player was with Christian Ramirez when he got the news he was traded to LAFC. You can purchase the book at our sister site, bylinepress.com. $12 for pre-order. And as a reader of FiftyFive.One, we’ll pay your shipping ($4). Just use coupon code reader at the checkout. And if you are a Patreon supporter of FiftyFive.One, head on over to our Patreon site where we have an even better offer for you!